Patagonia is notoriously rough on gear. Weather and terrain conspire against you at every turn so you need to make sure you are well prepared. The following is a list of the gear I brought with me on the Dientes de Navarino circuit. Including food and water (and wine), my pack weighed around 18-19 kilograms at the start. I brought the Thule Versant 70L. You want a pack that offers a minimum of 70 liters of space and is comfortable enough to carry heavy loads for five days. If your pack is not waterproof, and there are a lot of waterproof packs available today, I highly suggest lining it with a garbage bag or two. You’re going to get wet and you really want dry gear to change into/sleep in at night. The nice thing about the Versant is that the lid converts into a sling pack for summit hikes. This came in handy for our climb up Bettinelli at the end of Day 2. The backpack also comes with a built-in StormGuard system of partial rain cover with a waterproof bottom liner that allows easier access, keeps gear drier, and is more durable than a traditional rain cover. REI Quarter Dome 1: This three season, one person tent is super lightweight at just over two pounds but roomy enough that you don’t feel claustrophobic when inside. There is plenty of headroom and elbow room with a 42-inch peak height and vertical sidewalls so you can sit up and easily get dressed/undressed. Ideally for Patagonia you want a tent with plenty of stake out points to help brace against the wind. The rest of the group brought four season tents which while heavier, can stand up to pretty much anything. But the Quarter Dome did pretty well in the rain, snow, and wind and to compensate for the increased canopy mesh (which helped a lot with controlling condensation), I brought along the zero degree Oberon sleeping bag from Therm-a-Rest. The Oberon is stuffed with waterproof down, so if it did accidentally get wet in the rain, it would still maintain loft. REI Quarter Dome 1 Footprint: With so much precipitation, the air is humid and you are going to be camping on wet ground every night. To cut down on condensation and to protect the bottom of your tent, a footprint is pretty much a must. Therm-a-Rest XTherm Sleeping Pad: I followed the same concept as the sleeping bag here and brought the warmest pad at the lightest weight and pack size. Navarino Island has a polar climate with 18 inches of precipitation a year and average temps hovering between 1.9 °C (35.4 °F) and 9.6 °C (49.3 °F) throughout the year. In other words, expect to get wet and expect to be cold — layers are key. Any day, the notoriously fickle Patagonian weather changes from rain to snow to sunshine back to snow within minutes. And wind is your constant companion. Instead of constantly taking on and off rain gear, I wore the Bight Gear NeoShell Nuker Jacket and Pants all day long. Thanks to Polartec NeoShell, the outerwear is fully waterproof while remaining ultra breathable so I didn’t have to worry about basting myself from the inside out. They are also stretchy and quiet unlike other rain gear. Other layers included thermal base layers, the Columbia Alpine Traverse jacket made from Polartec Alpha insulation, a big The North Face Stretch Down Hoodie to keep warm at camp, and a Skida neck warmer and hat. Even in the height of summer, I never was without two to four layers on top and two layers on the bottom. Salomon Outline Mid GTX: These waterproof boots kept my feet relatively dry and were burly enough to stand up to the harsh terrain while remaining comfortable for a full day on the trail. Even with waterproof boots, however, you need to resign yourself to having somewhat wet feet every day. Make sure you bring plenty of dry, warm socks to change into at night. And don’t forget the gaiters. The trail is always wet and you will encounter snow, deep mud, and plenty boggy river crossings. If anything they will keep your pants from getting muddy and wet each day and scree from getting into your boots. Throw in a pair of Crocs or other lightweight shoes for camp as you’ll want to get out of your wet boots for the night. While you technically can drink the water on Navarino Island if you are careful of the source (i.e., not out of a lake with beaver activity), I chose to filter all my water just in case. I brought along the compact and lightweight MSR TrailShot. And as water is everywhere, there is no need to carry more than a liter at time — I used a Hydroflask wide-mouth bottle for the job. While it stays light until quite late during the summer months, you will still want a headlamp for use in your tent or getting up in the middle of the night. WAG Bags: While not a requirement yet, we chose to carry out ALL of our waste. This will help preserver the water sources and with limited campsite space, help to limit the build up of human waste over time. Crazy Creek chairs: Everywhere is wet and muddy, so be sure to bring something to sit on while you cook meals or enjoy the campfire. Leki Micro Vario Carbon Poles: Poles on this trek are pretty much essential to help you balance on steep, loose or slippery terrain, cross rivers, and even brace yourself against the wind. These poles weigh next to nothing at one pound and fold down small enough to shove inside your backpack for the flight to Puerto Williams. Rubber gloves: Whether bikepacking or backpacking, I always bring a pair of rubber kitchen gloves with me. They block all wind and rain and keep your other gloves from getting destroyed in inclement weather. Kaenon Burnet Sunglasses: Even without tons of sun, I tend to wear sunglasses anytime outdoors to help block the wind as well as cut down on general UV brightness. SealLine Dry Sacks: The more you can protect your gear from the rain the better. I organized everything into different colored dry sacks which not only kept my gear dry, but helped me find stuff quickly at camp each night. Note on cooking: We built fires in pre-built rock rings at camp each night to cook over but fires may not be allowed for much longer. 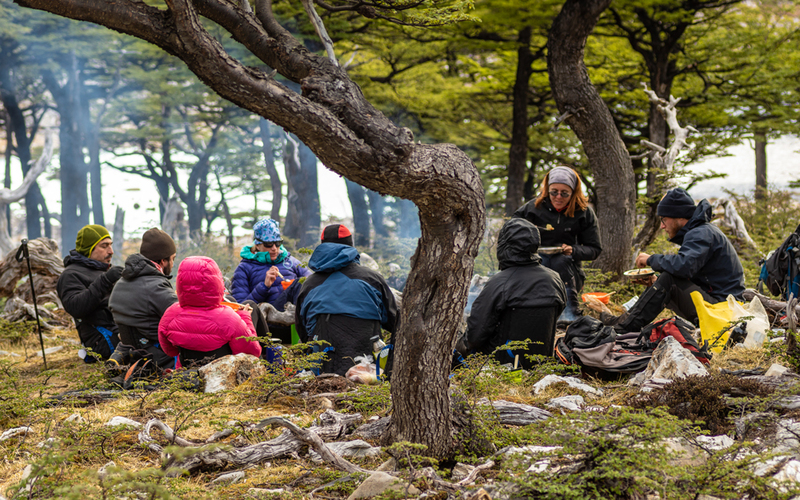 Plan on bringing a stove going forward as it’s a better way to leave no trace and you can find gas canisters in Puerto Williams. Crafted Energy bars: I brought a ton of bars from Crafted Energy for daytime snacks on the trail. I like them as they don’t freeze and are made from simple ingredients like fruit, nuts, and seeds. I find them super easy on the stomach and they aren’t too sweet so you don’t get sick of them quickly like other bars. Suunto Spartan: I tracked our route each day with the Spartan GPS watch from Suunto. 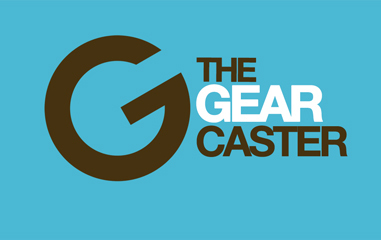 If you have any other questions on gear, feel free to drop me a note in the comments below.